Rejoice in the Lord always; again I say, rejoice. Indeed, the Lord is near. (Philippians 4:4-5) Entrance Antiphon for the Third Sunday of Advent. 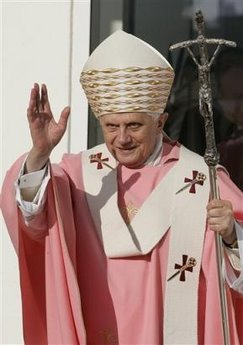 Catholics love their liturgical symbols and colors. Green for ordinary time. White for solemnities like Christmas and Easter. Red to signify both the blood of martyrs and the Holy Spirit. Purple for the penitential time of Lent; with a subtle change in tone to violet for Advent. And, tucked in the back of many parish vestment closets is a joy-filled rose number. Okay, it’s pink! All kidding aside, it is always good to take time to intentionally focus on joy. 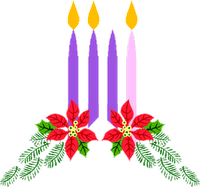 As we light the pink candle on the Advent wreath, we will be reminded that the coming of the Lord is near. We look with joy to celebrating the birth of Jesus, and to his second coming. The readings are filled with calls to rejoice, exult and be glad. The anticipation of young ones at this time of year fills homes with excitement. Even not so young ones look forward to family and friends gathering during this holy season. Some of our children are in the midst of exams, and are yearning for that precious moment when the pen is put down and the last exam is completed. Celebrating Christmas with the first grand-baby and niece has increased the joy and anticipation for us all this year. My mantra this weekend will be joy, joy, joy!!! And not with teeth-clenched, sarcastic over-tones, but hopefully with a heart-filled with gratitude for the message of this season. Our God became one of us, with a promise that peace and justice will eventually reign over all. Rejoice in the Lord always; again I say, rejoice. Indeed the Lord is near.